Architectural Models.Michelangelo had several models made of the St. Peter dome during the time he worked on it. Discovered in an attic and newly restored, these models are now a main attraction at the Vatican Museum. Architects over the centuries have made models to check details in 3D and help clients understand dimensional perspectives. Many architects of renown also collected models, not only for their exquisite workmanship but also for their value as décor in homes and especially offices. 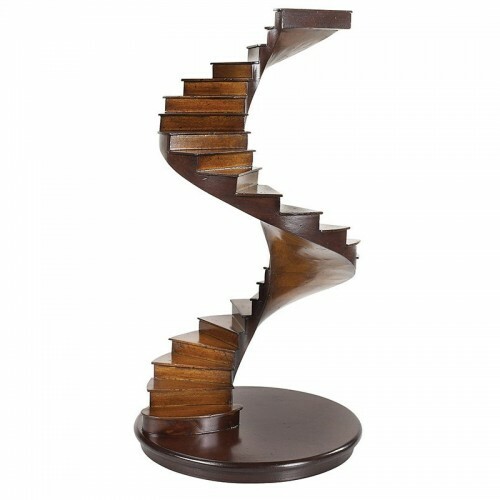 AM offers a small but no less fascinating collection of early stair models and dome buildings. Cherry and birch wood finished in subtle shades of light and dark honey. Sinuous curves and arches in beautifully finished wood add a fluid touch to private or corporate quarters.